30 Day Detox Tea – This works! Did you know that toxins build up in your digestive track over time from eating processed foods and chemicals? This can lead to bloating, acne, weight gain, and digestive problems ranging in severity. Are you looking for a detox tea that will clean out your digestive track? This stuff works! I love it! 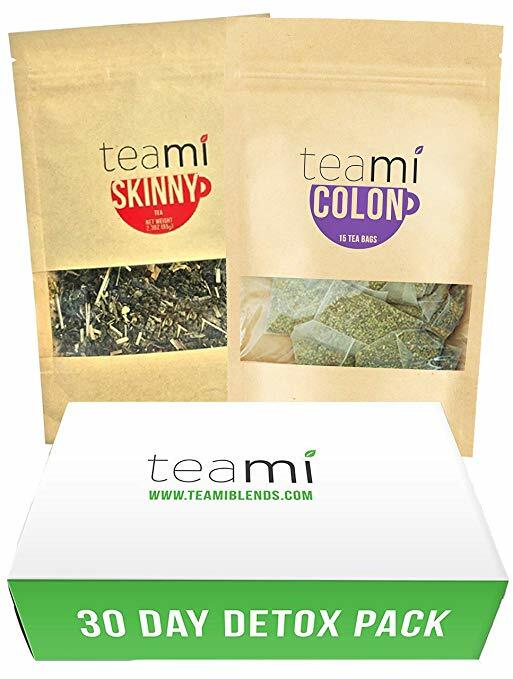 The colon tea is drank at night before bed, every other night and the skinny tea is drank in the morning to replenish fluid loss. Be sure to read and follow the instructions as this stuff is very effective, but I will spare you the details.